There comes a time when a young couple decides to give their house a touch of themselves, this is, to decorate it and arrange the furniture according to their individual tastes. And sometimes it’s a good idea to hire an interior decorator to tell us where to put that vintage ceramic Elvis doll collection. When it comes to interior design and decorations, you might hear some experts talk about having a “balanced house” and that things aren’t “where there supposed to”. This is probably in relation to what is known as having a “Feng Shui House”. So today we’re going to expand a little on what it means to have a Feng Shui House and more importantly, what does Feng Shui mean?, and why it should matter to you? Let’s get started! Feng shui is an ancient art and science developed over 3,000 years ago in China. It reveals how to balance the energies of any given space to assure health and good fortune for people inhabiting it. Feng means “wind” and shui means “water”. In Chinese culture wind and water are associated with good health, thus good feng shui came to mean good fortune, while bad feng shui means bad luck, or misfortune. Feng shui is based on the Taoist vision and understanding of nature, particularly on the idea that the land is alive and filled with Chi, or energy. 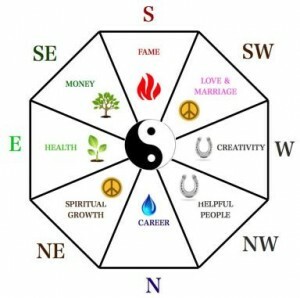 The main tools used in a feng shui analysis are the Compass and the Bagua. 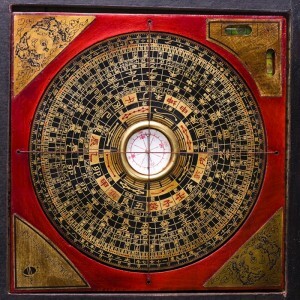 The feng shui energy map, or bagua, is an octagonal grid containing the symbols of the I Ching, the ancient oracle on which feng shui is based. Knowing the bagua of your home will help you understand the connection of specific feng shui areas of your home to specific areas of your life. Clear out your clutter; get rid of everything you do not love in your house. Clutter clearing is a process that, even though it will take time and effort, will feel GOOD, and will help you “lighten up the load” so to speak. Have Quality Air and Quality Light in your house. These two elements are essential for good feng shui energy in your home. Open the windows often, introduce feng shui air-purifying plants or use an air-purifier. Allow as much natural light as possible into your home, to provide warm light to as many rooms as possible. Define the Bagua, or the feng shui energy map of your house, by using one of the two main feng shui methods – the classical school bagua or the BTB grid. Once you define the bagua, you will know which areas of your home are connected to specific areas of your life. Thank you for reading! We hope this small introduction will help you in building a Feng Shui House. Be sure to share with friends and family, and if Feng Shui interested you, look up some tutorials on how to best arrange your things! Goodbye!